The Greater Scaup can be seen in the winter season in large groups, especially near the coast. 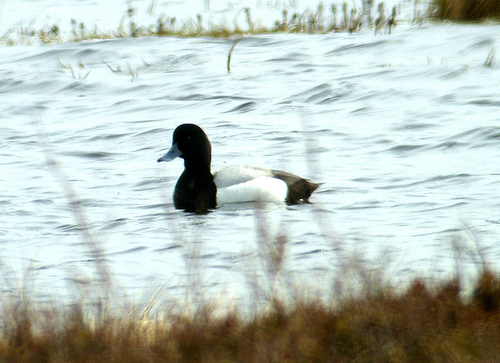 They are very similar to the Tufted Duck, but the latter has a black back, whereas the Greater Scaup is light grey. 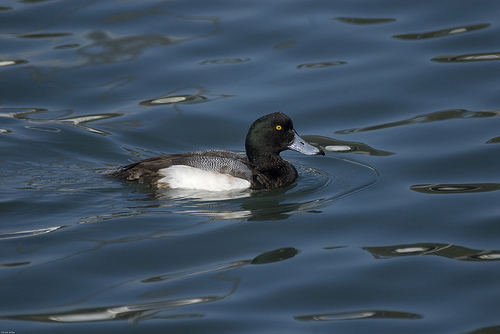 The Scaup has a light grey back, the Tufted Duck has a black back.